Brant Julian Parker (August 26, 1920 – April 15, 2007) was an American cartoonist. He co-created and drew The Wizard of Id comic strip until passing the job on to his son, Jeff Parker, in 1997. 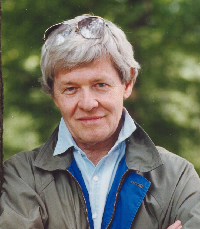 Cartoonist Johnny Hart, his co-creator, continued writing the strip until his death on April 7, 2007. Parker himself died eight days later, on April 15. A cartoonist is a visual artist who specializes in drawing cartoons. This work is often created for entertainment, political commentary, or advertising. Cartoonists may work in many formats, such as booklets, comic strips, comic books, editorial cartoons, graphic novels, manuals, gag cartoons, graphic design, illustrations, storyboards, posters, shirts, books, advertisements, greeting cards, magazines, newspapers, and video game packaging. The Wizard of Id is a daily newspaper comic strip created by American cartoonists Brant Parker and Johnny Hart. Beginning in 1964, the strip follows the antics of a large cast of characters in a shabby medieval kingdom called "Id". From time to time, the king refers to his subjects as "Idiots". The title is a play on The Wizard of Oz, combined with the Freudian psychological term Id, which represents the instinctive and primal part of the human psyche. Parker studied at the Otis Art Institute in Los Angeles, California. 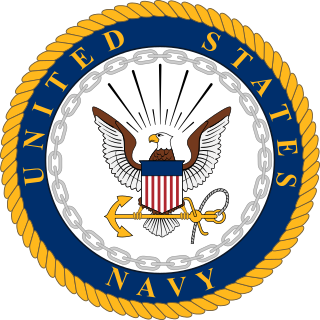 He worked for the Walt Disney Studio before and after World War II, taking time off to serve in the United States Navy. After leaving Disney in 1945, he moved to New York to work as a political cartoonist for the Binghamton Press . Walt Disney Pictures is an American film studio and a subsidiary of Walt Disney Studios, owned by The Walt Disney Company. The subsidiary is the main producer of live-action feature films within the Walt Disney Studios unit, and is based at the Walt Disney Studios in Burbank, California. It took on its current name in 1983. Today, in conjunction with the other units of Walt Disney Studios, Walt Disney Pictures is regarded as one of Hollywood's "Big Six" film studios. Films produced by Walt Disney Animation Studios and Pixar Animation Studios are also released under this brand. It was in New York that he met Johnny Hart in 1950; Parker was judging an art contest in which 18-year-old Hart was an entrant. The meeting was the beginning of a friendship that led to the two collaborating on The Wizard of Id in 1964. Parker teamed with Don Wilder on the political commentary strip, Goosemyer, which ran from 1981 to 1983. He collaborated with Bill Rechin and Wilder on the strips Out of Bounds and Crock . Early on, Parker left those strips to devote more time to The Wizard of Id. William J. Rechin, better known as Bill Rechin, was an American cartoonist who created the comic strips Out of Bounds and Crock. Out of Bounds is a comic strip by Don Wilder (1934–2008) and Bill Rechin (1930–2011). It was first syndicated in 1986. 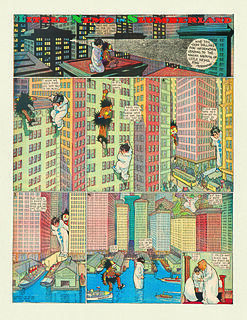 Rechin received the National Cartoonist Society Newspaper Panel Cartoon Award for 1992 for his work on the strip. Crock is an American comic strip created by Bill Rechin and Brant Parker depicting the French Foreign Legion. Distributed by King Features Syndicate, the strip began in 1975 and ended in May 2012. As of January 2012, it appeared in 250 newspapers in 14 countries. Parker received the National Cartoonists Society Humor Comic Strip Award for 1971, 1976, 1980, 1982 and 1983. He also received their Reuben Award for his work on the strip in 1984 and their Elzie Segar Award in 1986. The National Cartoonists Society (NCS) is an organization of professional cartoonists in the United States. It presents the National Cartoonists Society Awards. The Society was born in 1946 when groups of cartoonists got together to entertain the troops. They enjoyed each other's company and decided to meet on a regular basis. Walter Crawford Kelly, Jr., commonly known as Walt Kelly, was an American animator and cartoonist, best known for the comic strip Pogo. He began his animation career in 1936 at Walt Disney Studios, contributing to Pinocchio, Fantasia, and Dumbo. In 1941 Kelly transferred at the age of 28 to work at Dell Comics, where he created Pogo, which eventually became his platform for political and philosophical commentary. John Lewis Hart was an American cartoonist noted as the creator of the comic strips B.C. and The Wizard of Id. Brant Parker co-produced and illustrated The Wizard of Id. Hart was recognized with several awards, including the Swedish Adamson Award and five from the National Cartoonists Society. In his later years, he sparked controversy by incorporating overtly Christian themes and messages into the strips. Hart was referred to as "the most widely read Christian of our time," over C. S. Lewis, Frank E. Peretti, and Billy Graham, by Chuck Colson in a Breakpoint column. Noel Douglas Sickles was an American commercial illustrator and cartoonist, best known for the comic strip Scorchy Smith. Hy Eisman is an American cartoonist, active since the 1950s, who writes and draws the Sunday strips for Popeye and The Katzenjammer Kids. In December 2008, Eisman introduced the character of Bluto to the Popeye Sunday strips, as the twin brother of Brutus. Rick Kirkman is a cartoonist and co-creator of the comic strip Baby Blues. He received the National Cartoonist Society Newspaper Comic Strip Award in 1995, and the Reuben Award in 2012 for his work on the strip. He also served as co-executive producer of the WB Network TV series of Baby Blues. Phil Frank was an American cartoonist best known as the creator of the San Francisco-based comic strip Farley and the artist on nationally syndicated comic strip The Elderberries. Conchy was an American comic strip that ran from 1970 to 1977. Set on a desert island with a group of beachcombers as the main characters, the strip addressed serious issues of its time. Richard S. Newcombe is the founder and chairman of Creators Syndicate, which currently represents more than 200 writers and artists. Since the company's founding in 1987, the roster of talent has included Ann Landers, Hillary Clinton, Bill O'Reilly, Hunter S. Thompson, Herblock and the comic strips B.C., The Wizard of Id, Archie and Mickey Mouse. Creators Syndicate is located in Hermosa Beach, California, and distributes its content to 2,400 newspapers, magazines, websites and other digital outlets around the world. Charles G. Brooks was an editorial cartoonist for The Birmingham News in Birmingham, Alabama, United States. Creators Syndicate is an American independent distributor of comic strips and syndicated columns to daily newspapers, websites and other digital outlets. When founded in 1987, Creators Syndicate became one of the few successful independent syndicates founded since the 1930s and was the first syndicate to allow cartoonists ownership rights to their work. Creators Syndicate is based in Hermosa Beach, California. Mason Mastroianni is an American comic artist and the grandson of Johnny Hart, creator of the comic strips B.C. and Wizard of Id. The Twin Cities refers to the major riverside metropolitan areas of Minneapolis, Saint Paul and surrounding townships in Ramsey and Hennepin counties. In recent years, the Twin Cities has become home to a burgeoning comics scene, in the top ten for number of resident comics artists in the United States. The location of the Minneapolis College of Art and Design - one of the nation's first and only schools which offers both bachelor's and master's degrees in comic books - is likely a contributing factor. However, the global success of popular cartoonists like Minneapolis-born Charles M. Schulz must have paved the way. Carey Cassius Orr was an American editorial cartoonist. ↑ "About Johnny Hart and Brant Parker". Creators.com website. Last accessed 2007-04-09. John Hart Studios: "Remembering Brant"
This profile of a comic strip creator, writer, or artist is a stub. You can help Wikipedia by expanding it.